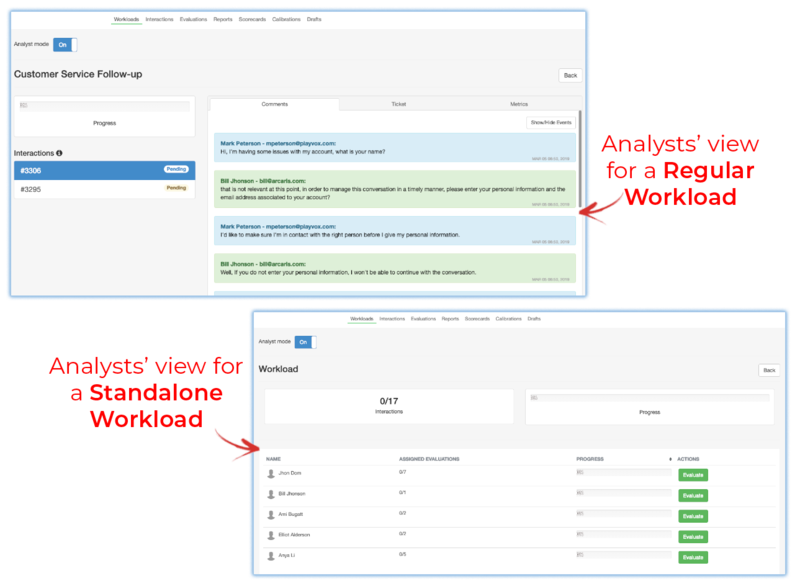 An analyst will see only the workloads to which they are assigned and only the interactions or number of evaluations assigned to them through those workloads, depending on whether they are part of a regular or standalone workload. 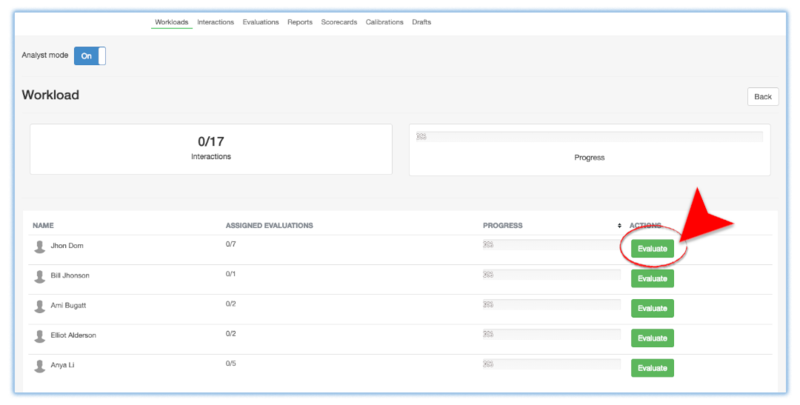 The analyst's workload dashboard provides a progress status for each workload to which they are assigned as shown below. As you can see, analysts in a standalone workload will simply see the amount of evaluations that should be done per agent. 1. Analysts should click on the Name of a workload in the left column to display customer interactions assigned to them. A list of assigned customer interactions are displayed in the left hand column. 2. Click on one of the interactions to display it in the right column for review. From here, an analyst can click on Start evaluating to begin the process or they can Skip Interaction. As shown in the list above, the interactions are randomly selected and assigned to analysts to assure a balanced workload for each analyst. 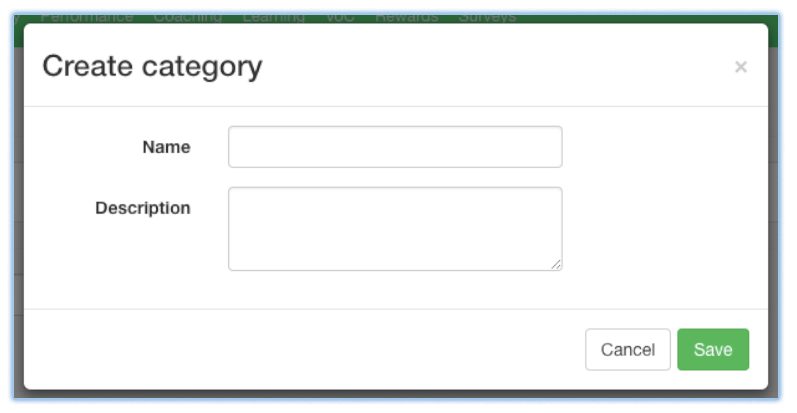 As shown above, when skipping, the agent must select a category (which Admins or SuperAdmins can configure - instructions below) and must also type any additional comments for future references. FYI: When skipping an evaluation, the system will reassign evaluations that are within the workload's initial range. Analysts only need to click on the green Evaluate button in the left column to start the manual evaluation process. About Workloads' skipping categories (Admins & SuperAdmins) for Regular Workloads. PlayVox's platform has set by default one category for skipping: spam. It is important for you to define your own skipping categories, which will depend on what you consider is a valid reason for analysts to omit an interaction. 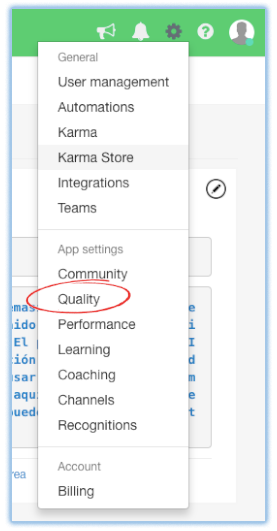 From the Quality Settings click on Workload Skip Categories. Or, directly from the Skip Integration window (Skip categories management is exclusively enabled for Admins or SuperAdmins) click on Workload Skip Categories. 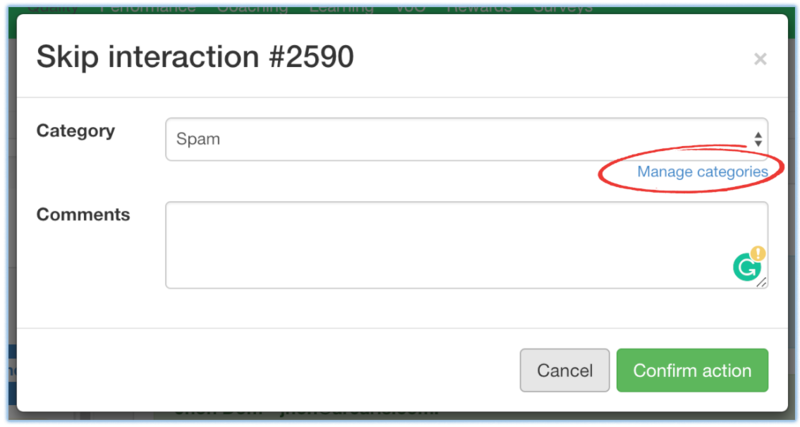 Simply click on the + (plus) sign and fill in the information and Save. Take advantage of the Skipping Categories to organize different reasons that should be considered when evaluating an interaction, as we all know, not all the interactions are worth evaluating. This little detail can help your team become more efficient!